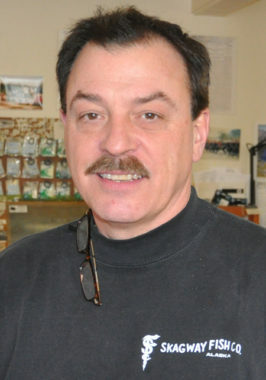 A Skagway Borough Assembly member and businessman convicted of failing to file his income taxes is being ordered to spend just over a year in prison. Dan Henry, operator of the Skagway Fish Co., will spend a year on supervised release after he gets out. He must repay $600,064 to the federal government for unpaid income taxes. Henry, 61, was sentenced in U.S. District Court in Juneau on Monday on four misdemeanor charges of willful failure to file income tax returns. The charges are only for Henry’s conduct between 2009 and 2012, although prosecutors say he admitted to relevant conduct dating back to 2004. In a written statement to the court, Henry blamed heavy drinking for gambling away all of the money he set aside for the 2005 season’s start of the Skagway Fish Co. and subsequent payment of taxes. He wrote that he put off filing his income tax returns as he repeatedly returned to Las Vegas with the hope of winning his money back. But the losses simply compounded over the years. He said alcoholism led to his dismissal from early jobs at the Chicago Board of Trade and a DUI conviction. Henry also wrote that he worked hard, long hours to build up the restaurant over the years. But there is no one else to replace him and fill his multiple roles at the business. He ends his letter by apologizing for his conduct and acknowledging that he must make restitution as soon as possible. Last February, Henry pleaded guilty as part of an agreement reached between prosecutors and his attorney over nearly two years of negotiations. Defense attorney Robert Bundy had asked that Henry be sentenced to eight months in prison while prosecutors wanted him to spend two years behind bars and pay a $50,000 fine. Bundy also noted Henry’s 15 years of service with the Skagway City Council and Skagway Borough Assembly that included the position of Finance Committee chairman. Other community members also submitted statements and a video of support noting Henry’s community involvement on education, senior and veterans issues. Assistant U.S. Attorney Jack Schmidt noted in a sentencing memorandum that Henry “was not overly sophisticated in avoiding his tax responsibilities,” but he did file fraudulent financial disclosure reports with the Alaska Public Offices Commission that claimed no self-employment income over $1,000 for 2010 to 2012. His case with the commission is still open. Schmidt also noted that Henry received checks and deposits that were structured in order to hide his income. U.S. District Court Judge Timothy Burgess on Monday ordered Henry to a year in prison for each of three charges to be served concurrently. For the fourth charge, Henry will spend a day in prison to be served consecutively to the other terms. Henry must report to a federal prison facility by Nov. 1. His current term on the Skagway Borough Assembly ends in October 2017.